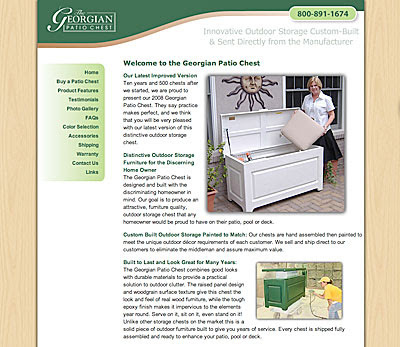 Patiochest.com is the e-commerce site that sells The Georgian Patio Chest. This is a heavy duty, outdoor storage chest that can be used on patios, decks, yards, gyms or anywhere else good looking, highly functional storage is needed. I have seen these chests in person and they would easily look right at home on a mansion estate. 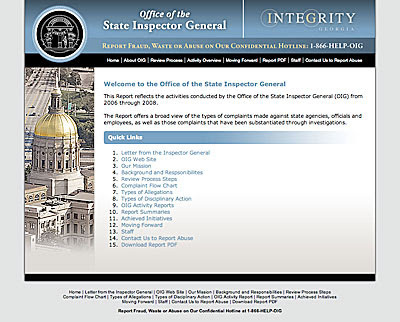 Graphic Works was hired by the Georgia Office of the Inspector General to create a web site and print based report for their annual activity. 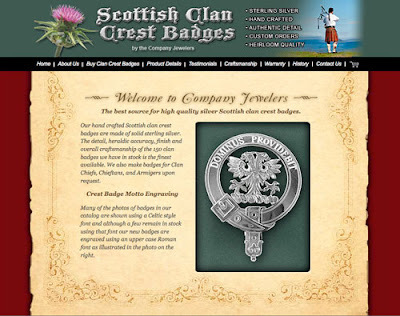 I got to work on this project and it was designed to be clean, simple and easy to navigate. You can see the site at www.oigannualreport.com.